I am really amazed that these stamp. Creams like these have been very difficult to locate, so much so that I often choose an undesired color to complete my look. I definitely need to pick up a few of these while they are around! These look great! I especially love the grey/purple combo! I agree with Kirby, cremes rock my world. There’s so much you can do with them. Bold or subtle. Contrasting or monochromatic. Never underestimate the power of a good creme. I LOVE this! Kirby’s stamping is always exquisite!! This post is fantastic! I definitely need to get these colors! They’re perfect! Aww, thank you very much Autumn! 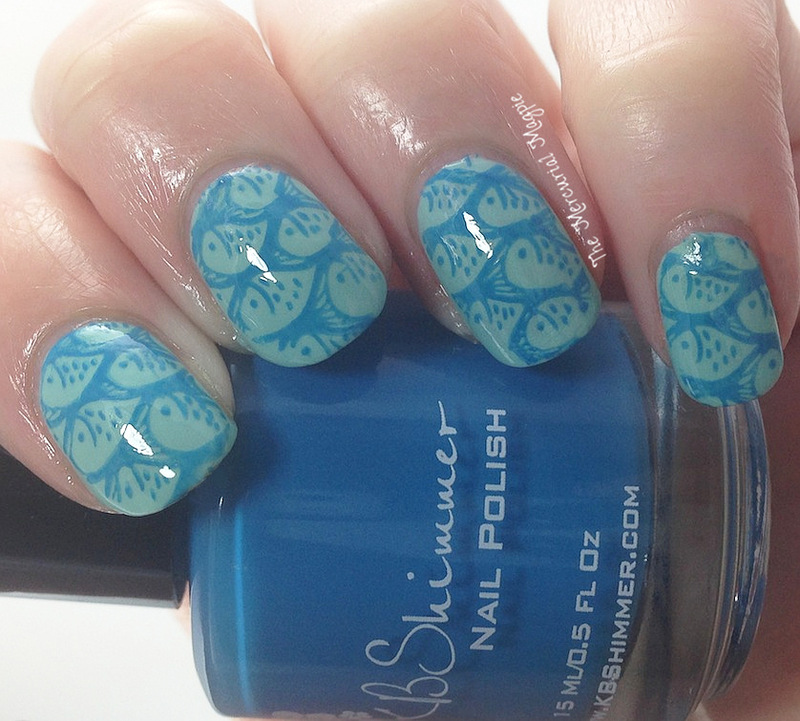 What pretty stamping! I love the fishes one the most but there all really cute 🙂 Again, those cremes from you guys are amazing too! Thanks, Lisa! The cremes are super fab. OMG Kirby, you are such a great stamper! 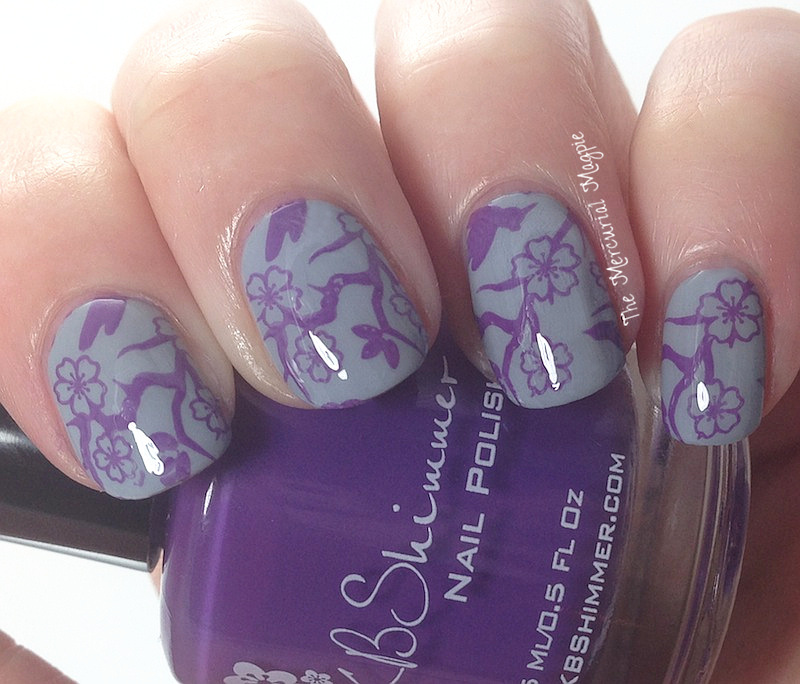 You make me drool with every stamp mani. These colors are perfect. 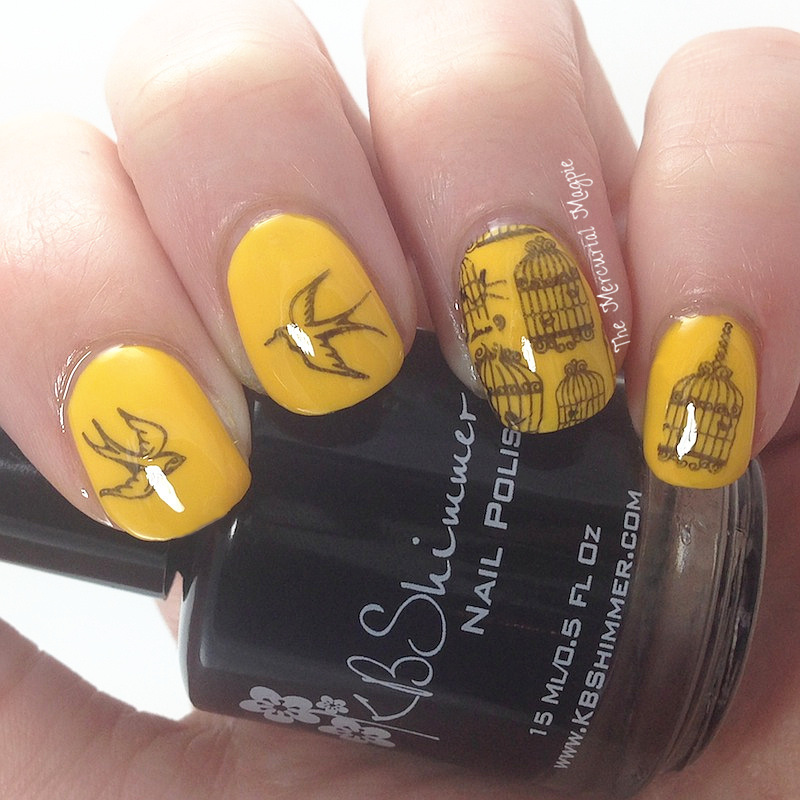 I absolutely adore that last one; that is the perfect stamp for the color combo you used. Wow. It is really difficult to find good stamp polish. Even some made for it! I’ll have to try these out too! Thanks guys. It definitely can be hard to find, these worked so well! I’m loving all of these! So great to find things that stamp and Kirby, your skills are impeccable! I am very jealous! As a newbie stamper, I’m still just learning the ropes! I love your commentary! Love the stamping! I have never tried stamping, let alone with any of KBShimmer creams. Thanks, Cindy! Stamping is a total addiction once you get started with it!